I start this week feeling humble. 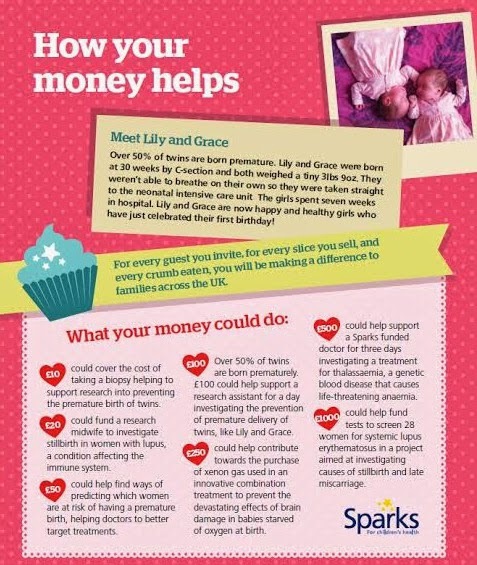 Proud of my caring community (both online and off), astonished at baking skills displayed, and seriously impressed at the kindness shown at the mention of Sparks Charity who fundraise for paediatric research. 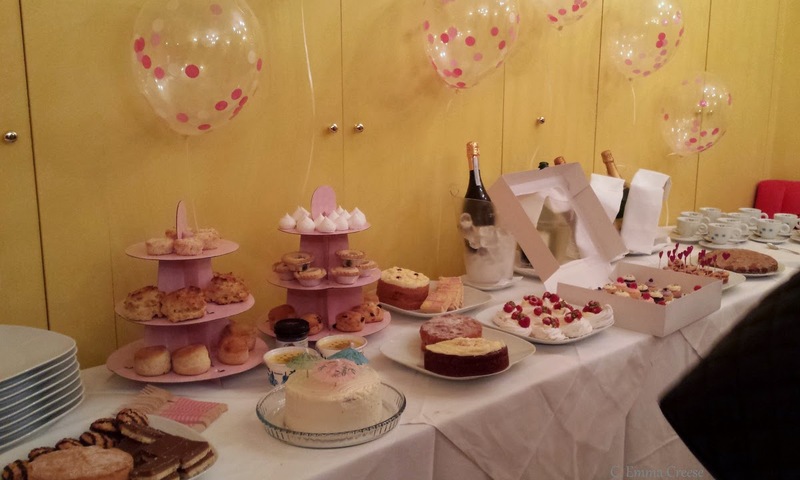 A few weeks ago, a fortuitous spotting of posters in the tube advertising a baking fundraiser caught my eye, and with my imagination going into overdrive, operation ‘Blogger Afternoon Tea’ was born. Cooked, baked, whatever. 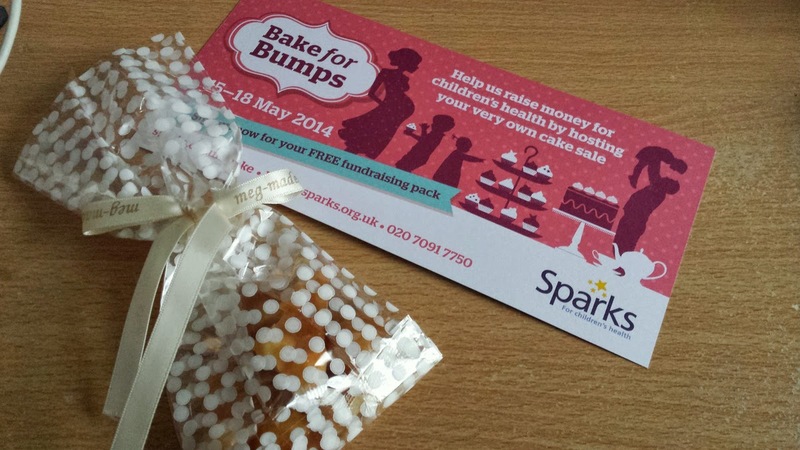 Sparks are running their baking fundraiser (13th-15th May this year) asking communities to sell their baking to colleagues, family and friends in order to raise money for life-saving research, focused on pioneering medical projects that help the 1 in 30 babies born in the UK with a condition that may affect them for life. Fast forward a spate of emails and a few weeks later I found myself, Mr Kiwi & the lovely Meg setting up for a wonderful afternoon of tea. 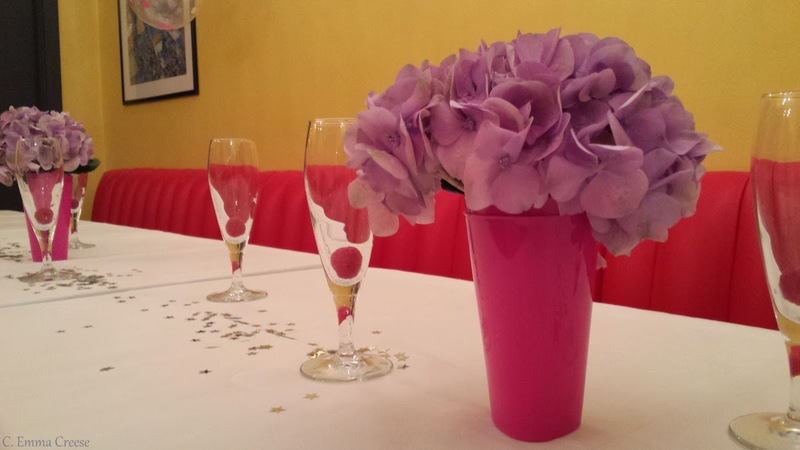 Kindly offered the function room at the delicious La Mancha restaurant in Chiswick (go, honestly they don’t just have big hearts, but delicious tapas) a bevy of available bloggers gathered, ready for celebrating and raising awareness the tastiest way possible. 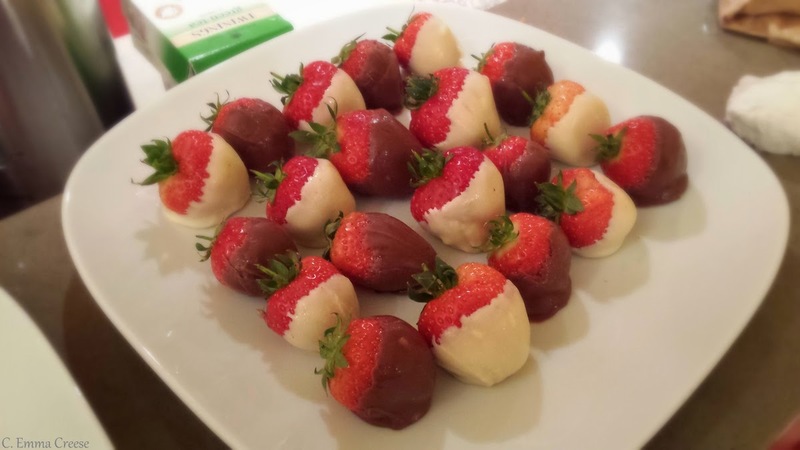 The idea of the afternoon was to donate the money we’d normally spend on a luxury tea, bake our own goodies and donate the remainder to Sparks, raising awareness and necessary fundraising. 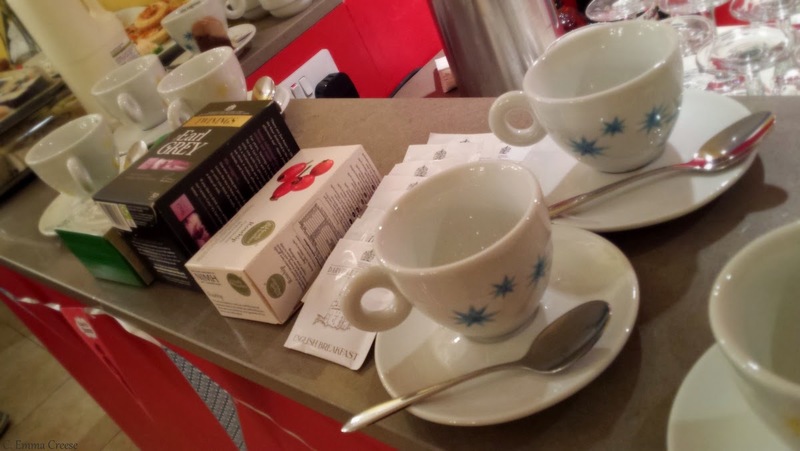 We went for a full-on high tea – savouries, scones and sweets – all carefully crafted. 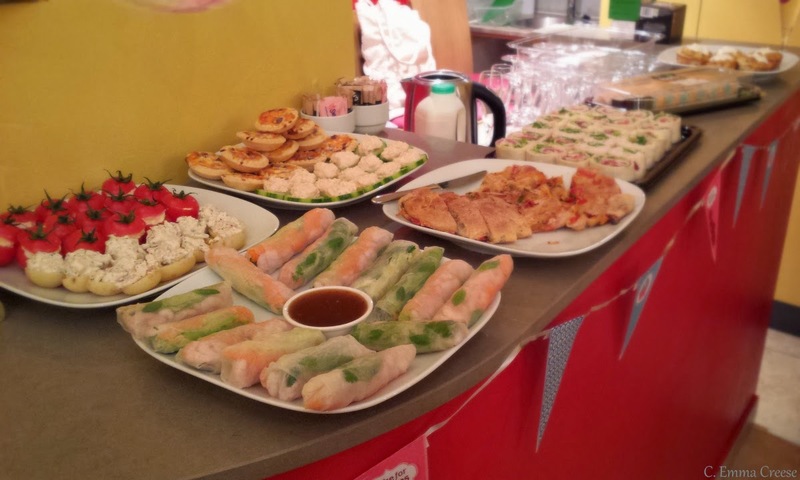 There was a veritable feast – Vietnamese summer rolls, quiches, gourmet breads, sushi, vegetable canapés and wraps. 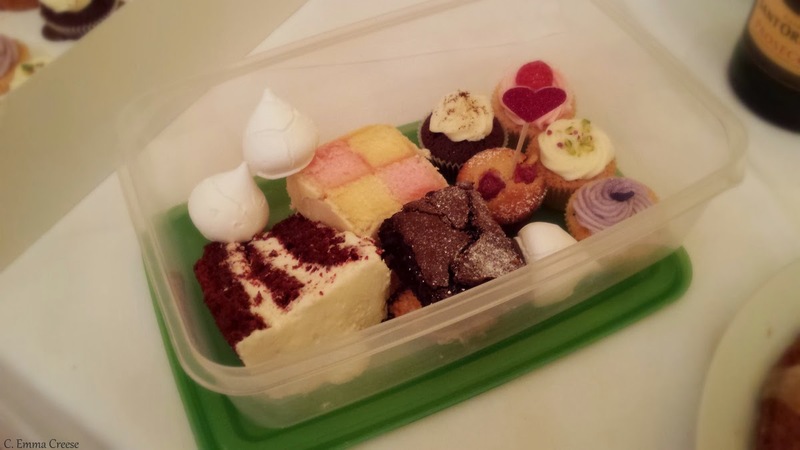 …a delicious array of Meringues, mini-cupcakes, carrot cake, passion-cake, Victoria sponge, Battenburg slices, fruit tarts, brownies, caramel slices, devils food cake and scones. But, while ‘Operation Charity Afternoon Tea’ was a roaring success, getting a photo that isn’t blurry & where everyone has their eyes open, less so! Why do this? 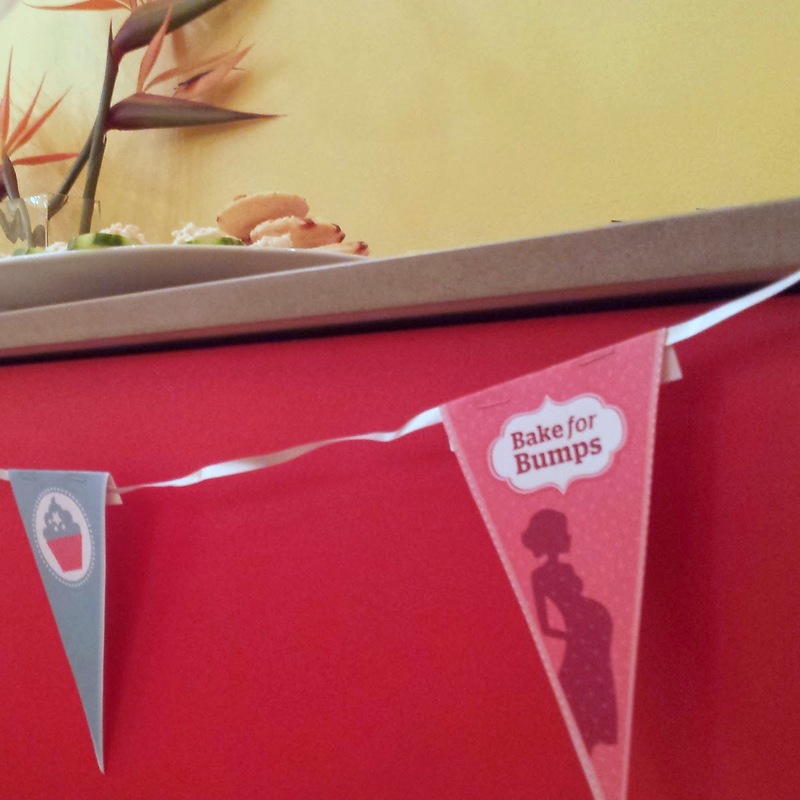 Well, I’m going to be an Aunty soon, and within in the rooms we had Mommas, Aunties and most importantly ourselves – some of whom could possibly be among those directly affected by the research being carried out worldwide to keep babies safe. 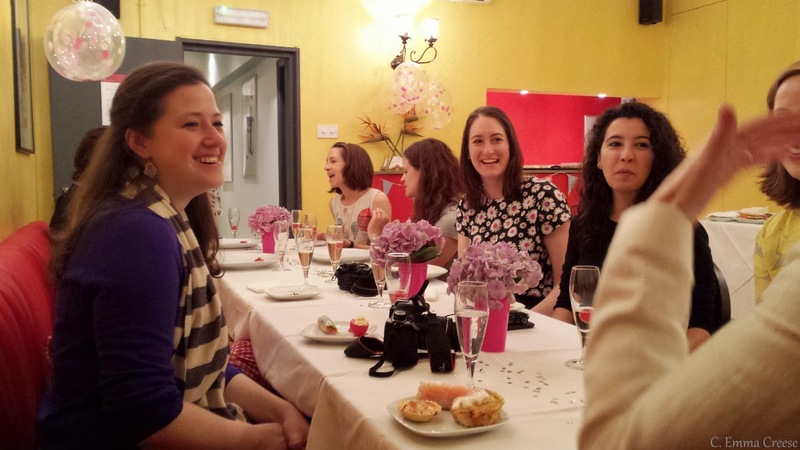 This is possibly my favourite photo from the whole afternoon; the smiles, the ubiquitous blogger cameras and scrumptious tidbits. 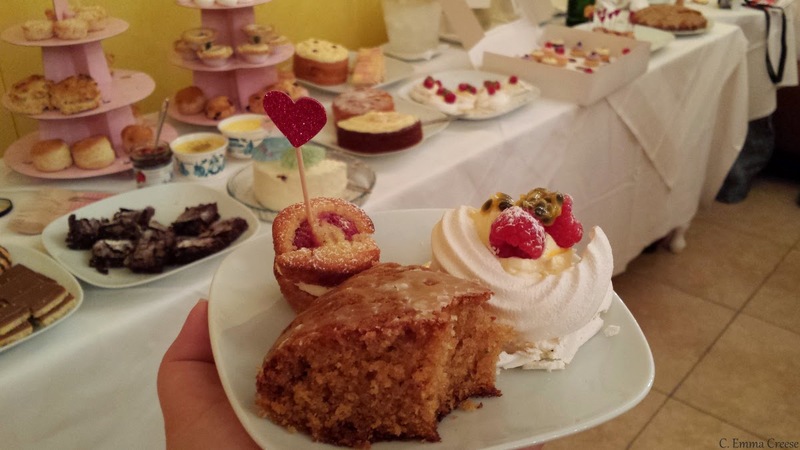 Raising funds for charity was the best reason to sit down for Afternoon Tea ever. Thank you ladies, from the bottom of my heart. Thank you for your time, your support and most of all your delicious cooking. I also want to say thank you to my generous friends who couldn’t make the tea, La Mancha for letting us borrow their room and the kind team at Mii cosmetics and the lovely Meg who donated a few goodies and provided the beautiful balloons. Meg’s nut brittle was ahmazing. 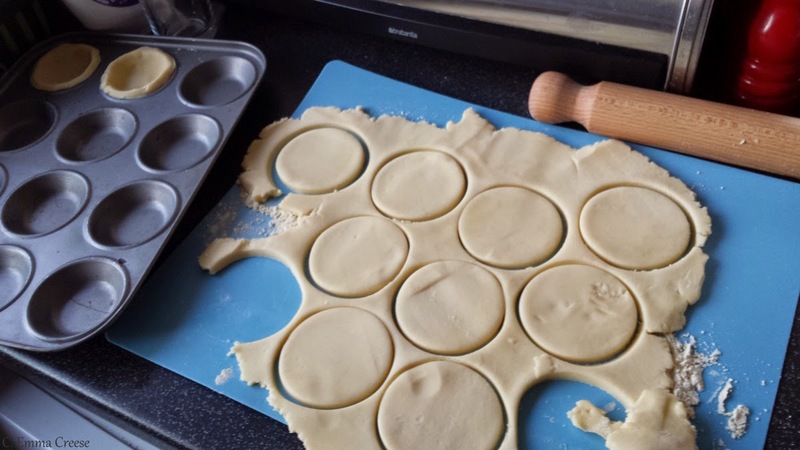 a) Run your own baking sale at work, school or gym over the 13th-15th May, donating the proceeds. Even if you can’t bake; nip down to your nearest bakery or supermarket, muss a few cupcakes so they look more au natural and sell them to everyone with a sweet tooth. And any one else you can cajole. 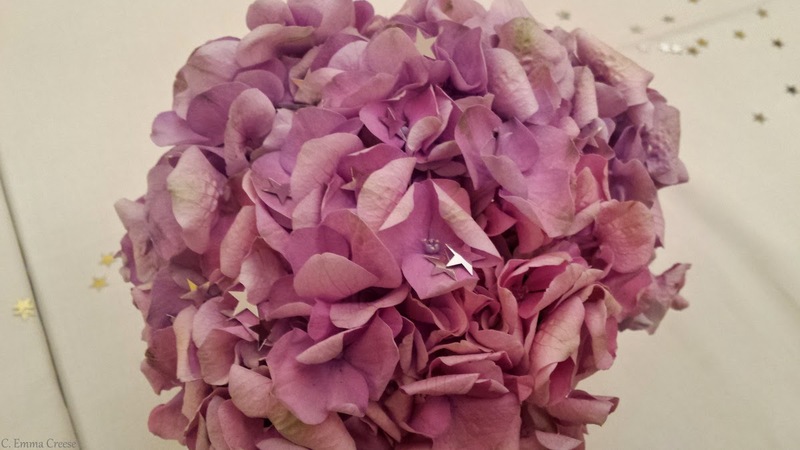 The Sparks website has loads of information, decorations and inspiration. So, all you mums, dads, aunties, uncles, grandmas, granddads, babysitters, adopted families out there, please do something that will leave you smiling for the rest of the week and support a fantastic charity.